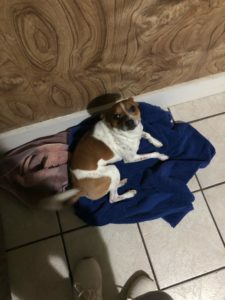 Chiquilin – Rehoming Pet is a red and white male Chihuahua, Short-Haired and Jack Russell Terrier mix. He is approximately 9 months old. With lots of energy.